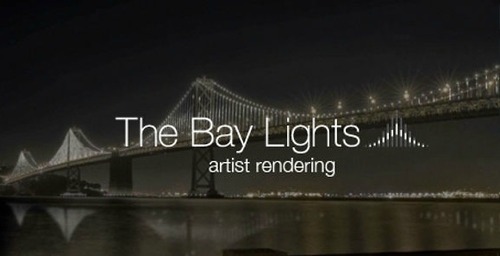 Over 25,000 individually programmed lights will illuminate the Bay Bridge in a show on the side of the bridge by Leo Villareal. This show is to celebrate the Bay Bridge turning 75 years old and will take place nightly for the next two years. This project spans the 1.5 miles of the bridge and reaches 500 feet up into the air. This spectacle will debut this Tuesday at 8:30, but buzz has already started because of testing over the last few months. “I really like it! I saw it Friday night from the Coit Tower and it was really pretty. Plus it looks cool in pictures,” stated sophomore Amanda Breslauer. Villareal has said that the patterns may look familiar, but that he doesn’t want to define them because they should be abstract and individual to each person. This light show will not only draw attention to the bridge, but to the surrounding areas. While it faces North, people in San Francisco, Marin, and a few parts of the East Bay will be able to enjoy the lights show at night. Although this is a huge project, many Carlmont students are unaware of it because it has only been publicized in newspapers and online sources. “I’ve never heard of it,” commented sophomore Tori Hall. Another interesting part is that the lights were all installed between 9pm and 5am starting January Jan. 3 with over 60,000 zip ties. This experience is sure to draw more people into San Francisco over the next two years.